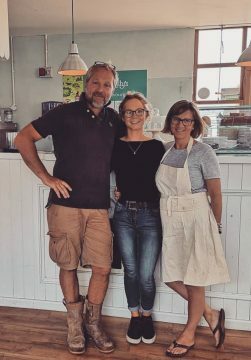 Serving wholesome breakfasts, lunches, coffees and cakes by day and delicious Cornish tapas and global wines by night! 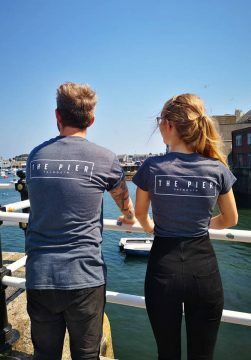 We are a small café on one of Falmouth’s most recognized locations, The Prince of Wales Pier. The Pier was opened in 1905 and is 155m long. It is a renowned tourist spot due to its 360 degree view of the harbour and its ongoing functionality as the ferry and pleasure boat landing. We are a small building but one that packs a punch. By day we serve delicious and wholesome breakfasts, lunches, coffees, cakes and cream teas. 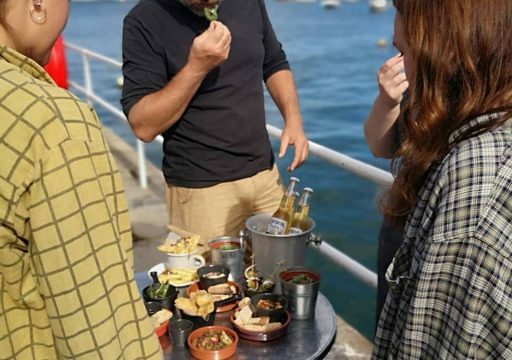 By evening we then move more into a bar and Cornish Tapas venue, hosting occasional feast nights, live music and other events. 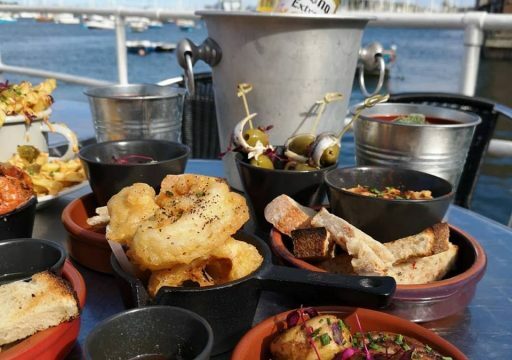 By doing this we can make the most of our beautiful sundeck that looks out over the harbour… with a glass of wine or two. We try to focus heavily on local produce and supporting local businesses. One way that we do this is by sourcing our fish directly from local boats to give the fisherman the best prices and us the freshest fish. We have also delved deeply into our coffee research and secured out one of the best coffee roasters in the UK. Extract coffee, with whom we have a very close relationship. We buy in exceptional produce to deliver to our customers we feel that perhaps this is only half of the experience you get when coming to visit us. We pride ourselves in being a friendly and approachable bunch of local folk. We are here to give you great food in a relaxed atmosphere so that you can enjoy the best that our surroundings have to offer.